Preheat oven to 350° F. Sprinkle pizza crust with Brie and bake in oven for 8 minutes or until cheese is melted and bubbly. 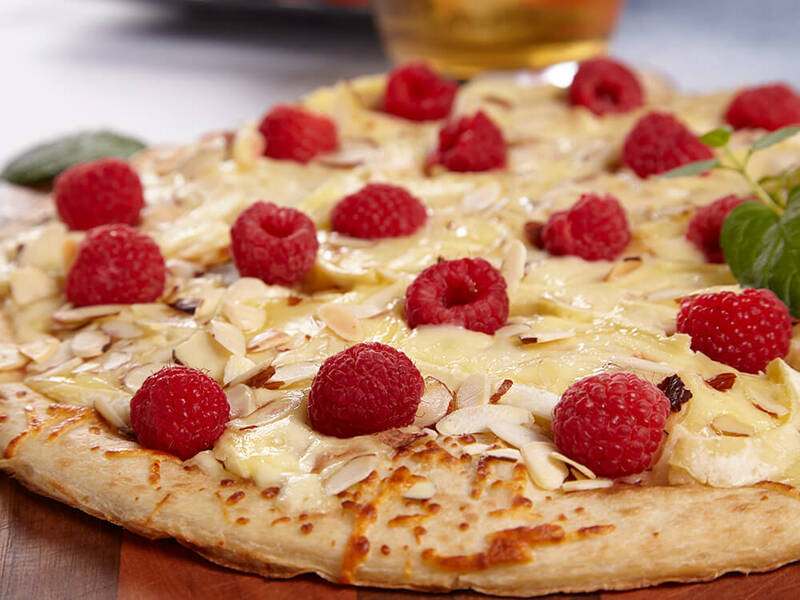 Remove from oven and sprinkle raspberries and almonds. Serve warm.